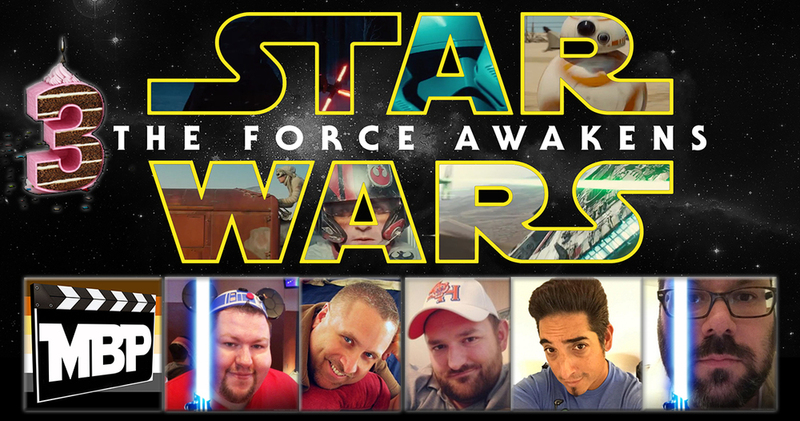 On this very special episode, we celebrate the 3 year anniversary of the Movie Bears Podcast by reviewing 'Star Wars: The Force Awakens' with special guests Mike Lovins and Felipe Garcia! To help us get in the spirit, we pit Mike and Felipe against each other in an MBP-celebratory death match trivia contest! We then dive into a discussion of our experience seeing 'The Force Awakens' and give some non-spoilery thoughts on seeing the film before getting into our full-on review. Enjoy the show! You can listen to all of our episodes on iTunes, Stitcher Radio and at our website: www.moviebearspodcast.com. You'll definitely want to check out Mike Lovin's YouTube channel featuring his video reviews of recent movies (including Star Wars: The Force Awakens) and music at www.lovinstereo.com.